I’ve written before about home. About what it means to me as an expat; how I have made myself feel at home here in the States, what I miss and what I don’t miss. I’ve mused on the difference between my spiritual home of Scotland and the home I make with my family. I’ve discovered; by moving many, many miles away from home; that I take my home with me. That it isn’t contained within the four walls of our house, but is part of us. I’ve realised that while I miss people, I don’t miss things. Tomorrow, the sale of our house in Edinburgh goes through. I haven’t mentioned this before as I have a (life long!) fear of jinxing things. Who knows, publishing this a day before the sale completes may be jinx enough! This was not a decision taken lightly, we will return to Scotland in the future; but it was time to let go of our house there to allow us more freedom here. 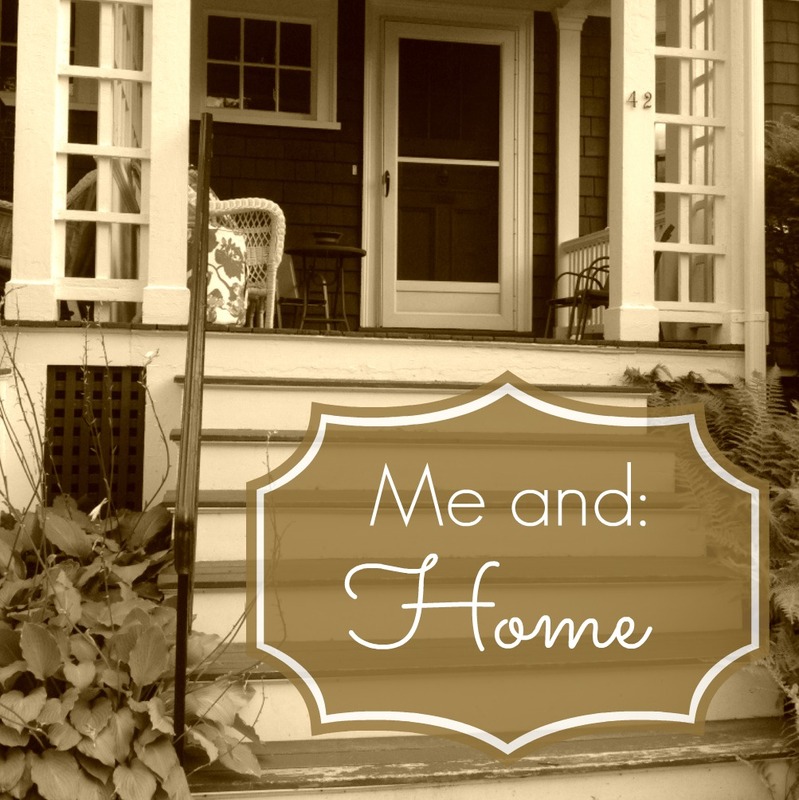 Before we left the UK I imagined that I would have a strong sentimental attachment to the house; it was our forever house. After we left I was surprised by how little attachment I had to it (apart from my brand new kitchen…!). When you have children you have to very quickly make a home wherever you are. You can’t afford to keep looking back. I find myself feeling strangely unsettled today though. As if a connection, long held and important, is broken. Intellectually, I know it isn’t. Intellectually I know that this is the right thing for us, right now. We need more space, we need more flexibility. We need to move! But, it is odd that our house will no longer be our house. It was an anchor to our previous life; a safety net when we first moved, a comfort to us (and the family we have left behind). This decision reflects a change in our lives; an acceptance that we are happy where we are for the moment, a will to live in the moment, a realisation that we do not need a house in Scotland for Scotland to be our home. We are moving forward; and this is right and good. However, despite the logic and the intellectual acceptance, for today I cannot shake this feeling of disconnection. And, perhaps I don’t want to, or need to. I am secure in our decision, and I am secure in our life as it is. For today I will allow myself to remember our old home, to say goodbye to it. And, although writing that sentence brought unexpected tears to my eyes; it is a momentary thing, and tomorrow I will look forward: to a new home here, to the space we so desperately need, to being able to give the kids the garden and playroom and privacy that they so desperately need. It is all good. I am good. My home is here, with my family. Thank you Caroline, I’m sure it will all go through now :) It’s been interesting seeing my reaction to it, as the day has drawn closer, but it’s all good – and hopefully soon I can get all (well, at least some of) the toys out of the living room! Thanks hun. Yes sometimes it takes over completely and other time I am absolutely fine. Thank you so much for linking up to Share With Me. I loved this post. It must be hard if you still have family in Scotland. I did the opposite. I lived in Scotland but returned ‘home’ when my family arrived. What a great upbringing your kids will have though, learning from so many cultures, knowing that the world is a big place, yet ever so small at the same time! I wondered if you’d make things more permanent in Boston! Good luck for the next stage! I firmly believe home is where the heart is, but I can really feel how hard it must be from your post, wishing you all good things in your big move, good luck! Thank you. It’s strange that I almost feel worse now than I did when we first moved over! Good luck with the final stage of your sale. I think this part is always a little emotional even if your only moving nearby. We all get that ‘have I done the right thing’ moment, as once completed we can’t go back. Once you find and settle into your new home you’ll be fine, after all home is where you and your family are. Oh goodness Sara, this must be a huge step for you but well done! I think it’s important to write these feelings down, almost to say goodbye to them and I’m so pleased that by the end of the post you had turned it into a positive :) As you say, you cannot put your life on hold and you need to make a permanent home, even if you plan to return one day. Our friends moved to Australia 5 years ago and they have only just bought a home over there. Until they did that, I don’t think they felt settled. This is an important step for you and one that I’m sure will be quite releasing….and exciting! Wishing you all the best as you create even more foundations in your new home. Nowhere near the same- I moved my English husband and my ‘English’ children back to Wales (ok 200 miles is really incomparable :-) ), but whilst our home was where I held so many memories which hold such a dear, unique place in my heart, they can not be touched. And now, I do hope the next family is creating equal memories, and they will in your house. I have truly understood that a home is yours, a house is the physical structure- you have created home for you and yours, and I hope you find the sale creates your own complete. I hope it went smoothly. We moved house last year from a house we’d lived in for 10 years. It was our first year and we got engaged, married and had both kids there (not literally in the house). I expected it to be emotional to leave the house, but it was surprisingly easy. Keep hold of the memories of the house and the time you spent there. I’m so glad the house sale went through! I’m a bit superstitious like that too! I think you are spot on about missing people and not things. Maybe it’s the type of people we/expats are that helps us to adapt and make our home where we lay our heads. There is something to be really proud of in that – we form tight bonds with our family and throw ourselves into new friendships (often as a family). I’m sad to miss so many of my ‘home’ friends and see the reunions and parties they have in London, where we were all working. But I can’t be sad about the experiences I’ve enjoyed and the travellers I’ve met along the way. Lovely to have found your blog. It really is all about people, and I do miss being able to go to the parties and gatherings (I turned 40 the year after we moved and watched everyone else have a big party back home!). But, you’re right, I wouldn’t miss the experiences I’ve had. That was a huge thing to do, selling your home back in Scotland….as you said it was a ‘safety net’ !! We didn’t own a house when we moved away so never had that emotional tie or potential emotional tie at least! It’s good that you were able to focus on the necessity of it and the positivity of it!! I bet it was strange for you looking back on this post, that the time has FLOWN by! I actually teared up when i read this…i still kinda have a lump in my throat. We also kept our home when we became expats. We are lucky that we have a family member who was willing to move in and take care over it while we were gone. We did however move our things out….it was really hard for me to see on Facebook when they moved their things in. It is like yours was a link to home, a safety net that will be there when we go back, a reason to go back. Oh, gosh, sorry to make you cry! One of my best friends moved into our house when we left, and then subsequently bought it, I suspect that made it slightly easier, although it is very strange seeing it with their furniture instead of ours…! Reading this gave me goose bumps… I’ve moved so many times that I’ve tried to force myself not to get too attached to physical buildings and places. As you say, it doesn’t make sense intellectually and I do honestly believe you can make a home anywhere. That said, I still feel a strong emotional connection to some of the flats and houses I’ve lived in, and I’ve never even owned any of them! It’s human nature to attach significance to certain places and things, and I’ve stopped fighting it. As we gear up to leave Italy I find myself mentally cataloging the places and things that mean something to me and that I know I will always feel sentimental about. It’s okay though – I’ve decided they are simply a part of my story and even though I will let them go without a fight, it’s okay to hold on to them in my heart.